Lika Behar jewelry, made in Istanbul, has influences of the ancient that is created for the modern woman. 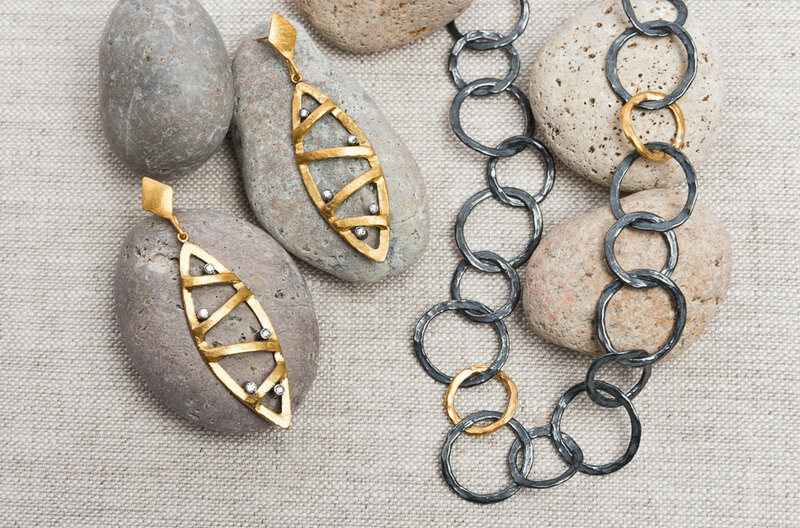 While her designs have a feminine flair, the striking combination of gold and oxidized silver has an edgy style as well. The geometric shapes of the Lika Behar silver and gold bubble chain necklace and Lika Behar reversible cages gold and silver earrings with diamonds are a balance of round and clean, sharp edges.